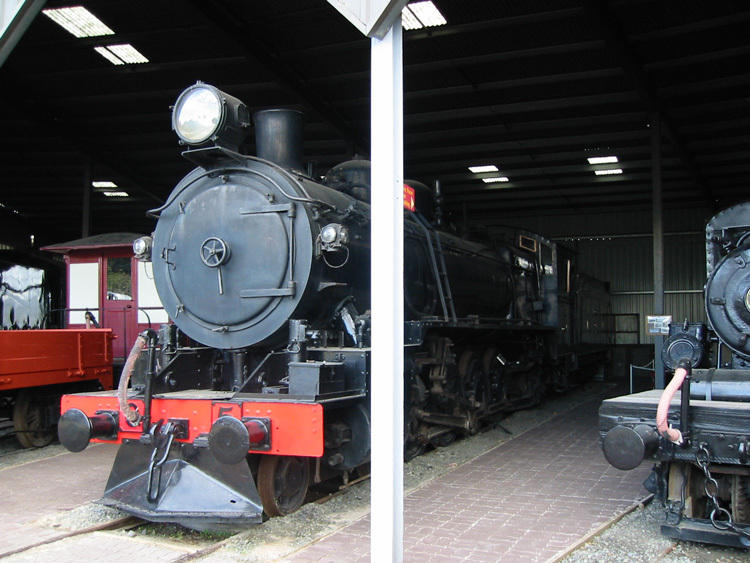 This photo was contributed by Stuart Dix and shows Q5 at the Tasmanian Transport Museum on 6 November 2004. 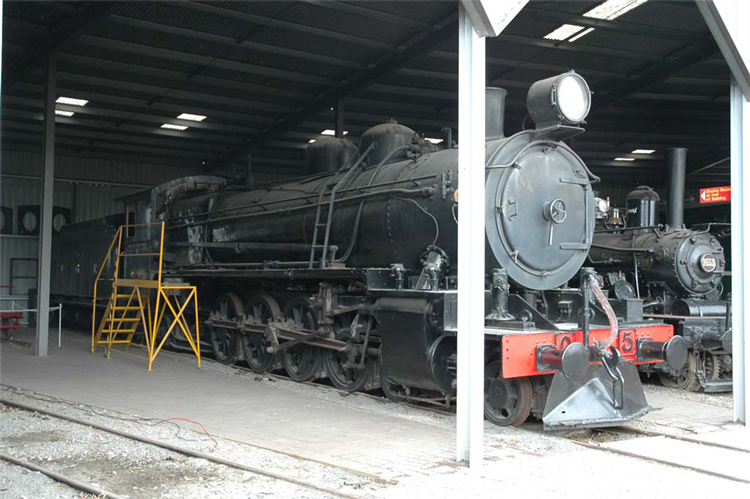 A complete history of the TGR Q-class and this locomotive is provided in the exhibit guide book "Locomotives of the Tasmanian Transport Museum". (a) Your webmaster considers the TTM a fine museum with a variety of well restored railway, tramway and road exhibits, and thoroughly recommends a visit! This second view of Q5 dates from 30 April 2003.